AnyOption is a top ranked binary options broker. 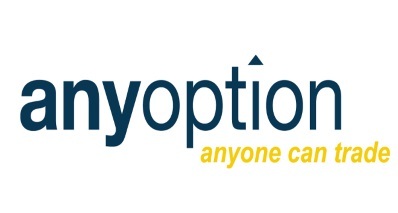 Based out of Cyprus, AnyOption was one of the first brokers to offer European style binary options. Founded in 2008, this broker has continuously been at the forefront of the industry. But is AnyOption still the best broker out there? Our AnyOption review takes a close look at this broker, providing you with all of the information that you will need to decide whether or not this is the right place for you to trade. And before you get too far along in your search, know that binary options trading is risky. Even professional level traders often lose money using this type of financial instrument. If you are going to trade, it’s important that you look at risk honestly. Having a good broker on your side is one of the key steps in managing your risk. Here, we will help you to decide if AnyOption fits that description for you. A lot of brokers, especially in a market like binary options, have many similarities. AnyOption stands out in this industry, despite offering many of the same trading products and the same assets that other brokers have. Yes, they have the traditional call and put options that you know and expect from your broker. And yes, they offer a very standard set of available assets. They have about 100 stocks, indices, currency pairs, and commodities for you to choose from. They also offer currency pairs that involve BitCoin. In addition to all of the standards that you would expect from a broker, our AnyOption review team found a few things that helps this broker to really stand out from the crowd. They offer social trading, Option+ trading, bubbles, as well as U.S. style, spread binary options. This broker also offers one touch trades and dynamic trades, where you can focus on higher yields. These come with higher risk, so be careful if these are options that you will be using. 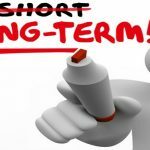 Some traders like to use long term trades to help them hedge and offset risk. AnyOption offers a limited variety of these types of trades. AnyOption does have VIP accounts available for their larger traders. 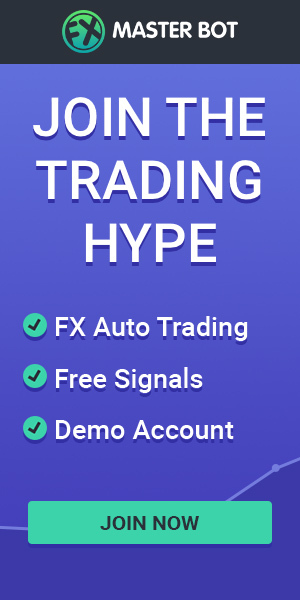 These include top of the line analysis tools, promotions and occasional bonuses, customizable trading news and alerts, as well as other little perks. To qualify for a VIP account, you need to be invited to join. If you have questions, you can feel free to contact their customer service team. You can contact them by email at [email protected], or by phone. Their number is 1 866 844 4540. If you have any questions about this broker before or after creating an account, this is where you should direct them. If you want to trade at AnyOption, you need to fund an account. The minimum amount that you need if you want to open up an account is $200 USD or 200 euro. Once you select a base currency, that is the currency that you are going to be using permanently with this broker. For most traders, this is a very simple decision. You can use a Visa or MasterCard credit card to fund your account, a wire transfer, or an e-wallet account like Skrill, CashU, or giropay. At AnyOption, wire transfers should only be used for larger deposits because of the extra cost associated with it. For larger deposits, this is the fastest and safest way to make sure that your money goes where it is supposed to go. Withdrawals are processed by the same method that you funded your account. You can use either a credit card or a wire transfer, but not Skrill/Moneybookers at this time. Depending on the method that you use, there might be a fee associated with either funding or withdrawing money from your account. If you use a credit card for your withdrawal, you are entitled to one free withdrawal from AnyOption each month. More than one per month costs $30 per withdrawal. In order to save on costs, it’s important to plan ahead. AnyOption has a fairly complete educational section on their site. The best place for traders to begin here is to go to their “Features” section, and look at the basics that the site has to offer. 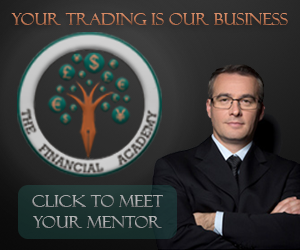 If you have a lot of experience with binary options, you will also want to check out their Academy. 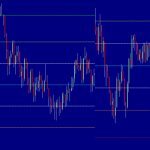 Here, they have several video tutorials that walk you through some of the finer aspects of trading binary options and the strategy behind trading with a higher degree of success. 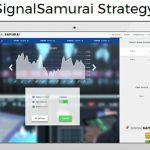 These tools will not necessarily help you to be a more profitable trader, but they definitely can point you in the right direction, especially if you practice strong risk management techniques at the same time. Is AnyOption the Best Broker? When it comes down to it, it’s impossible to say with certainty whether or not AnyOption is the best broker for you. 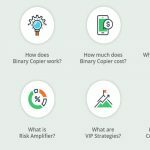 Our AnyOption review team recommends starting out by asking yourself a few questions to determine what your long term goals are when it comes to binary options trading. If AnyOption fits in with your goals better than any other broker, and is legal for you to use in your country of residence, then this could possibly be the best broker for you. Again, it is something that you will need to spend some time looking at yourself. No one can make this judgment call but you. Our hope is that this AnyOption review gives you all of the information that you need to make a smart and fully informed decision. If you are still unsure about AnyOption, one of the great learning tools that they provide is a demo account. Demo trading can give you a better idea of what the trading platform here is like, and whether or not it meshes with your style as a trader. Demo trading, by definition, has no risk associated with it as you use fake money for your demo account. 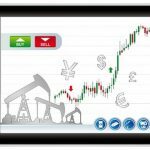 However, you will need to make a deposit in order to gain access to demo trading. Binary options trading has a lot of risk associated with it. There’s a strong chance that you will lose money trading. It’s a really important part of your success that you have a reputable and helpful broker on your side if you want to try to reduce the risk that you are taking on with every single trade you execute. You already have enough risk to deal with when you trade; you don’t want to make it worse for yourself by having a less than helpful broker. Our mission here is to help you figure out if AnyOption is the right broker for you.